Clark College's Common Read Project is the book Garbology: Our Dirty Love Affair with Trash by Edward Hume. A campus-wide project, this site serves the faculty and staff, preparing them for integrating the book into their classes. For Clark College faculty and staff only. To join the site discussions, sign in or register here. For information on how to participate in this group, please contact us. For help in using this site, please see our brief tutorial. To track the conversation here, add the site to your feed reader. Resources: The Clark Copyright Guidelines for Garbology are now available for teachers and faculty. DOES THIS CAN MAKE MY WASTESTREAM LOOK BIG? What on earth happens to all the unpurchased clothing? 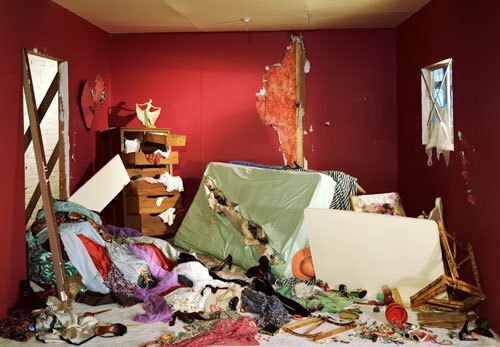 Discard Studies » Jeff Wall, The Destroyed Room, 1978. Glenstone.